I did this cartoon exactly a year ago and guess what? 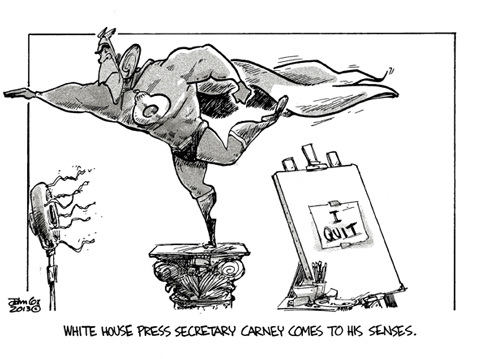 Carney resigns and it seemed inevitable. Even back then. This page contains a single entry from the blog posted on May 31, 2014 10:53 PM.